In the winter term 2006/2007 the Faculty for Applied Informatics at the University of Augsburg and the Faculties for Informatics at the Technical University Munich and the Ludwig-Maximilians-University Munich started an elite study course in Software Engineering, lead managed by the University of Augsburg. The course is part of and supported by the Elite Network of Bavaria. The program is geared towards the top 2 percent of students in computer science and aims to educate an elite for the leading edge areas of Software Engineering, which is not only able to face the challenges of tomorrow but to be actively involved in the development of tomorrow’s solutions. This is the first elite course of study in Software Engineering in Germany. Only a small number of students will be affiliated to the program. Post-graduate Students of this course are facing opportunities for their careers in science or industry which are hardly to achieve otherwise. Information about the participating professors can be found here. For details concerning the application look here. Contact details for further questions can be found here. 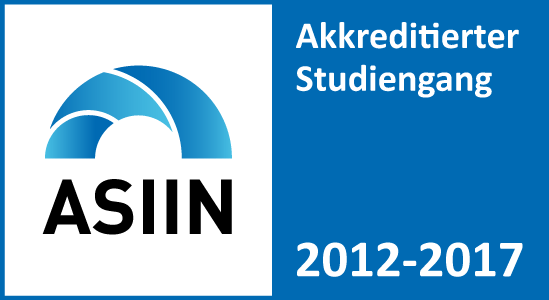 The Software Engineering Master Program is accredited by ASIIN for the period of 2018-2023 and bears the labels of ASIIN and AR (Akkreditierungsrat).